So much opinionating about Bitcoin at the moment, I figure I might as well throw in my 0.02 BTC. I don't want to get into questions of what Bitcoin is, what it might be worth in the future, the pros and cons or ethics. I just want to focus on explaining its recent explosive rise. What we have is a simple mismatch between supply and demand. The demand is coming because of media attention and, yes, in part because of the Cyprus "bailout." But what's really interesting is that there's not much supply. There are many Bitcoin "whales" out there (no I am not one) who invested early, have thousands of Bitcoins, and would love to sell some 'coin at current prices _ but aren't. 1) They know it's not "worth" this much yet (even if they remain long-term believers). 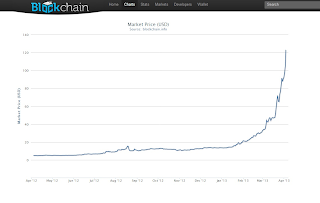 2) Volatility is BAD for the long-term health of the Bitcoin market. People who get burned in a Bitcoin bust are not going to come back quickly. 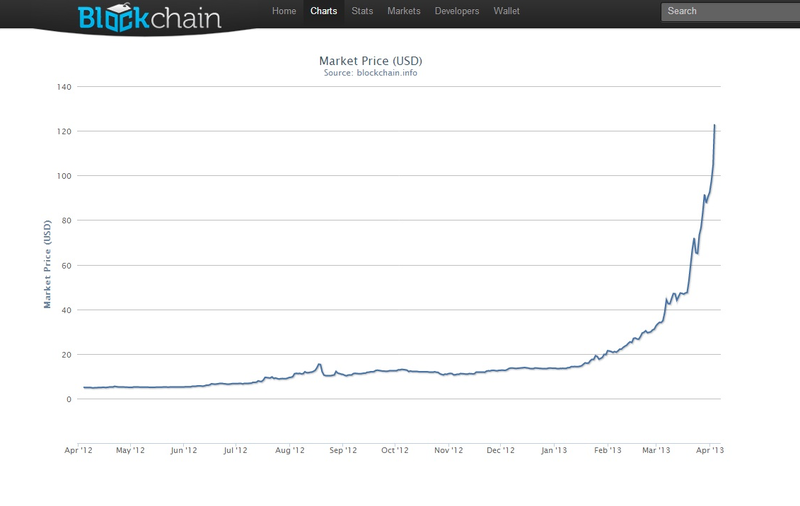 Also, it's impossible to conduct much trade in Bitcoin with prices this volatile. So why aren't the "whales" selling some Bitcoin to stabilize prices? Answer: Because the early adopters were almost by definition people interested in privacy. They don't want the world to know that they have a lot of Bitcoin, and they certainly don't want to open themselves up to scrutiny by tax authorities by selling on Mt. Gox. So, any big Bitcoin sales still have to be done on the black market, and that's a daunting prospect for both buyers and sellers.